Just read a news bit that the cruise ship Viking Sky lost power off the cost of Norway in a storm and declared a mayday. 1300 passengers and crew on board. They have started evacuating the ship by helicopter but after a few hours only 100 off the ship. Report says they managed to anchor so for now not heading for the beach. One engine running now. Looks awful onboard. One of the SAR helecopters went to assist a cargo boat which came to help but also lost engines, twitter says the crew told the heli to go sort the cruise liner first. 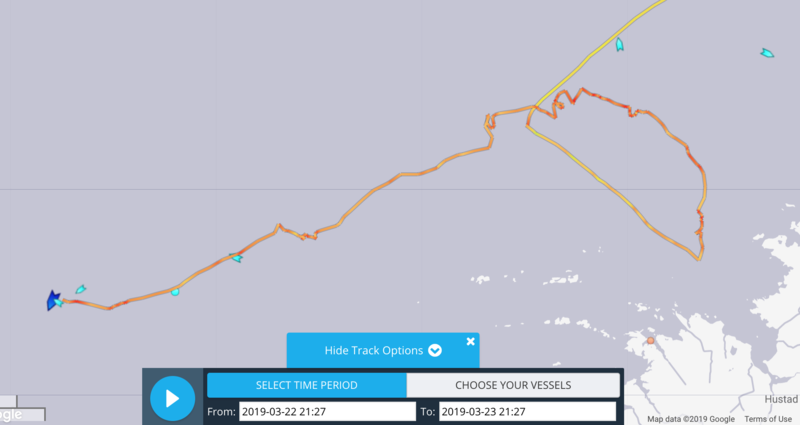 A recent screenshot from the AIS position history of the Viking Sky shows that they were able to stay clear of the coast. I read a single engine was, at least temporarily, recovered to motor against the heavy seastate. 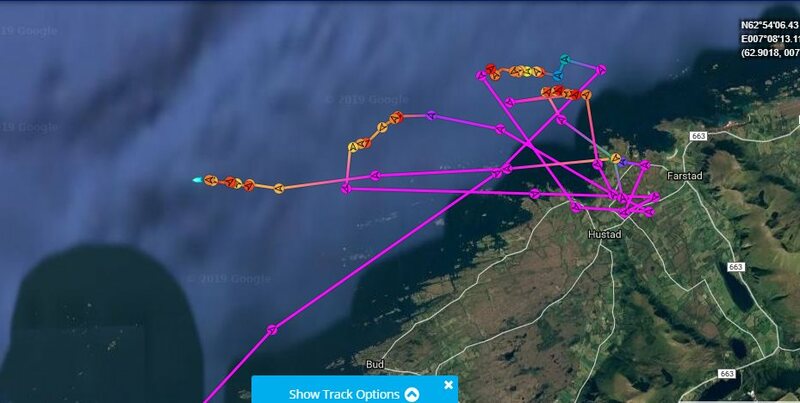 A look at https://www.windy.com/ shows some string conditions off the coast of Norway. The helicopter pilots must have some nerves! Greetings and welcome aboard the CF, Tuuli. The "Ocean Response" seems to be towing the "Viking Sky" towards Molde Harbour now. That's good news! Lots on twitter, crew of cargo ship which went to help but also got into trouble abandoned ship rescued last night. Viking sky looked so close to the rocks at one point. So, can anyone shed some light on engine failures in these situations? The freighter also seems to have had an engine failure. I am kind of surprised that engine’s should fail because of rough conditions. On an old sailing boat I get it that fuel sediment might get stirred up or water might get into the fuel system, but surely a modern cruise ship like this should not be troubled? So, can anyone shed some light on engine failures in these situations? Extremely unlikely as both ships are still out there in awful conditions. 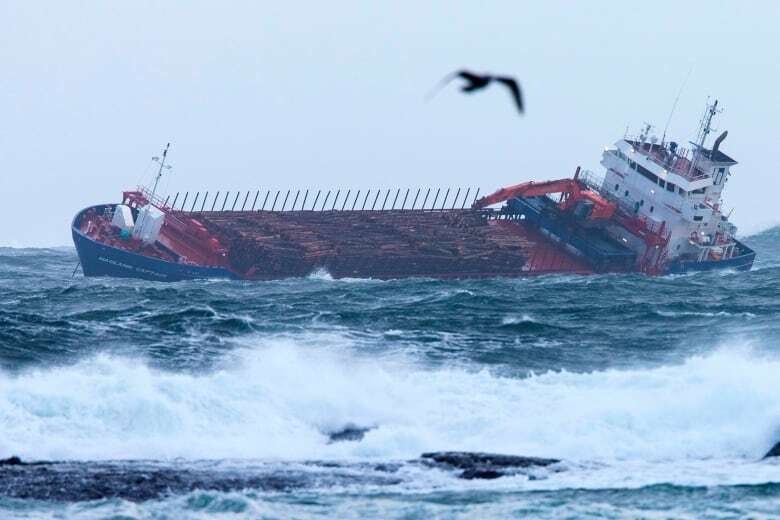 But generally, why would ships like these lose engine power in rough weather? I feel like it has happened before. Could just be the well known human habit of seeing patterns which aren't actually there. 473 evacuated by helicopter, each chopper takes 15 pax, each hoist 3 pax. They had the anchors out and driftet to within 100 meters of the rocks before an anchor held and at the same time running the remaining engine to take some load of the anchor. After a while they got 3 of the 4 engines going and now headed to the town of Molde to disembark the remaining pax. After engines started they waited til daylight to get a line onto the ship from a tug to go into port. Does it seem to you that a cruise ship would be off the coast of Norway in March? Seems like asking for trouble.